The MMA fighter showed off his tattoos in an unbuttoned shirt. 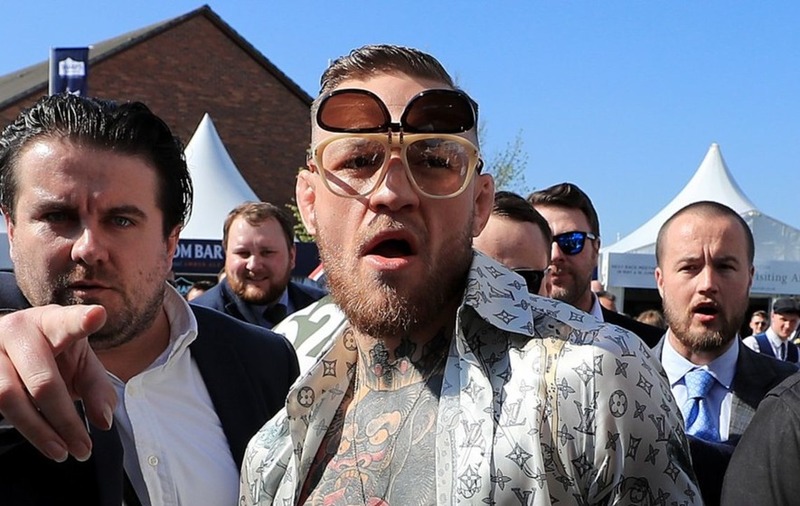 If you are looking for proof that Conor McGregor does what he wants, look no further than his showy entrance at Aintree Racecourse ahead of the Grand National. 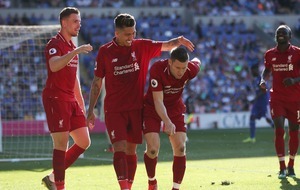 The MMA star was one of the many patrons at Aintree and he made sure all eyes were on him when arriving at the venue in a white Rolls-Royce. It is, after all, one of the warmest days of 2017 so far so you wouldn’t blame him for wanting to dress light. The Irishman wore his shades flipped up and appeared to be testing the formal dress code by wearing his Louis Vuitton shirt unbuttoned and showing off his tattoos. Cream trousers and silver shoes completed the UFC fighter’s unconventional look. A few were wondering whether he is flouting Aintree’s guidelines on racegoers’ outfits. 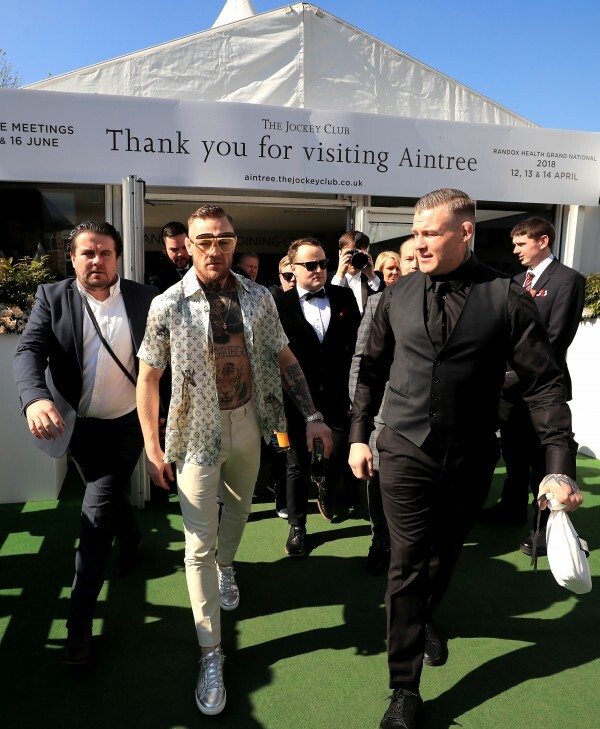 Aintree: "Sorry Mr. McGregor there's a strict dress code here"
Conor McGregor walking round Aintree with his shirt undone is the best thing ever ???????? In case you are wondering, the Randox Health Grand National at Aintree has no official dress code but visitors are encouraged to wear smart clothing. 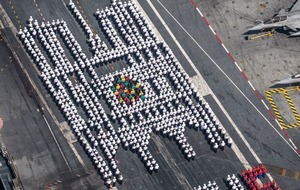 It’s guidelines state: “Although there is no official dress code, smart is preferable and is often adopted. Aintree is a spectacle of colour for all three days of the festival, with many using their trip as an opportunity to showcase their favourite raceday outfits.